We love covers here at If It's Too Loud..., especially if it's a band covering an entire album from one of their heroes, even if it's for a sad reason. The Pains of Being Pure at Heart have announced that they will be covering Tom Petty's beyond iconic Full Moon Fever. The Pains of Being Pure at Heart may not be the most obvious choice to take on an entire album from Petty, but that is the man's true legacy: Just about anyone you meet is a fan, and if they aren't you don't ever have to trust them on anything. To start off, they've released their version of "Runnin' Down a Dream." It's not a 100% exact replica of the original, but it's maybe 95% Petty, 5% The Pains of Being Pure at Heart. Their fandom is very visible with this version, and the reverence they have for Petty's masterpiece is obvious. You can listen to The Pains of Being Pure at Heart's version of "Runnin' Down a Dream" below. Their full album cover of Full Moon Fever will be out October 26 via Turntable Kitchen's Sounds Delicious vinyl subscription series. The vinyl is limited to 1000 copies and can be pre-ordered here. 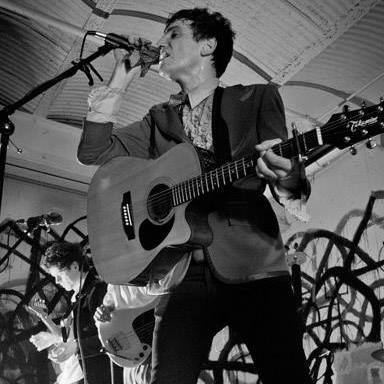 For more on The Pains of Being Pure at Heart, check out their website.